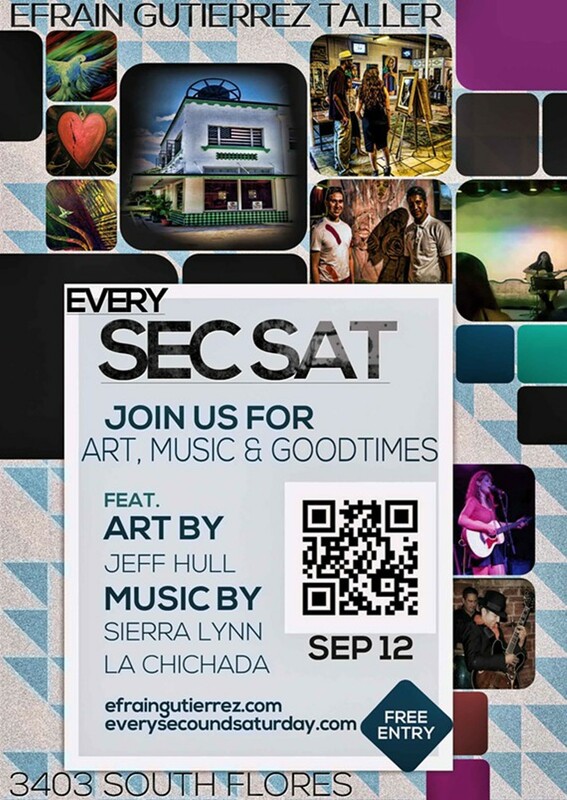 Every Second Saturday, Efrain Gutierrez Taller invites the Public to enjoy Art, Music, And Good Times. This Second Saturday the gallery presents art by Jeff Hull. Music is by Sierra Lynn. and La Chichada. That's this Second Saturday September 12th, The doors open at 5pm And Show starts at 7pm.